2nd Annual CHALK IT UP! Experience the joy of being part of a fun and creative event where artists of all ages come together to make Canal Street a beautiful exhibition. 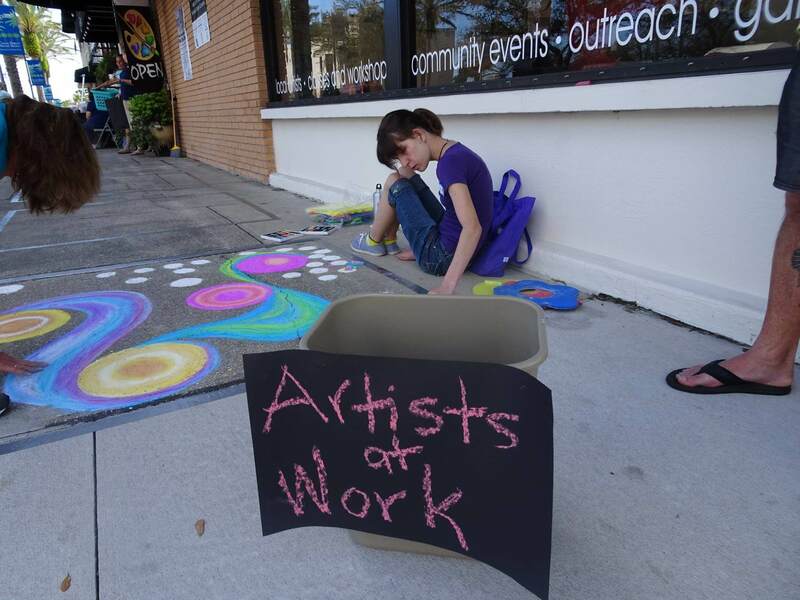 Artists of all ages and levels are invited to participate in this exciting event where they use 4’x4’ sidewalk canvases to showcase their works of art. Chalk It Up! is in its second year and we have expanded the competition to make it more fun for the artists and also for the many visitors who will be viewing the art. 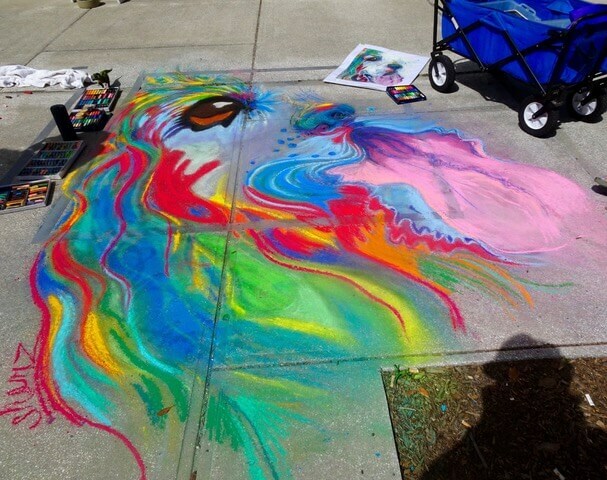 The sidewalk art competition will be held in conjunction with the city’s Art Fiesta! arts and crafts event that highlights the work of more than 250 artists/ crafters, and offers food and live entertainment. More than 7000 visitors attend Art Fiesta!, many of whom continue to Canal Street to enjoy the sidewalk competition. This year we will be offering 7 levels of competition: Adult Professional, Adult Amateur, Family Group (any combination of adult and child), High School, Middle School, Elementary School and Business. Individuals or teams of 2 are invited to attend. Local businesses are encouraged to participate in the BUSINESS COMPETITION category. There is no restriction regarding the artist, and business owners may create their own designs or hire an artist to do so. Businesses may create a work of art in a 4’x4’ space in the business section or in front of their own business! The winner of this competition receives a traveling trophy to display until next year’s competition. Original, Photograph (show the photograph and credit the photographer), or Masterpiece (name the artwork and credit the artist) or conservation (water or energy conservation theme). Monetary awards will be given in all categories (except Business and Conservation). Conservation: Best of Show receives a basket valued at $250 courtesy of the Utilities Commission. Business Category: Best of Show awarded the Chalk It Up! Business Competition traveling trophy. *Best of Show winners also receive a basket from the Utilities Commission valued at $50 to present to their art teacher. The Hub on Canal will offer free water at the registration table for artists. A break room with snacks and a light lunch will also be available in The Hub on Canal. We will be supplying some filler chalk, but you will need to supply your own chalk as well for usage through the duration of the event. Consider registering early! Click the link above to download the form. Practice your design before the event takes place. Create an image of your design and a gridding technique. Print the image and tape it to the ground in front of your space or use a clipboard. The Chalk It Up! Sidewalk Chalk Art Competition is sponsored by The Hub on Canal, the City of New Smyrna Beach, and the Canal Street Historic District. For additional information, visit The Hub on Canal website at www.theHUBoncanal.org or call 386.957.3924. Written by Vicki White and Chery Rich, Event Coordinators for Chalk It Up!